A new State Park in Brooklyn will be named in honor of Shirley Chisholm, a Brooklyn-born trailblazer who was the first African American Congresswoman, as well as the first woman and African American to run for President. 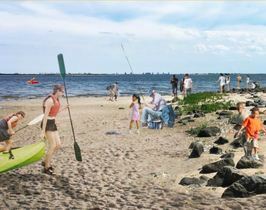 The 407-acre park, to be the largest state park in New York City, will fully open in the summer of 2019. The first phase of development will feature 10 miles of trails for hiking and biking, waterfront access for kayaking, pop-up environmental education, a pier with a shade structure, picnic areas, concessions, comfort facilities, welcome and wayfinding signage and a park office. A state investment of up to $20 million will open the ecologically restored property to the public for the first time, and make 3.5 miles of waterfront available to provide crucial new open space access in one of the most underserved areas of the state. The Ralph C. Wilson Jr. Foundation generously awarded a $6.5 million grant to State Parks to enhance hiking and biking in Western New York. The grant will result in more than 20 miles of new and improved trails – including 13.5 miles of Empire State Trail near Buffalo and 7.4 miles of the Niagara River Greenway Shoreline Trail in Niagara County. 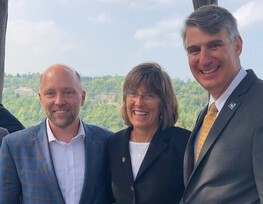 The funding will also help install trailheads, kiosks, benches and bike racks along the Empire State Trail from Buffalo to Rochester and to reconstruct historic stairways and trails along a section of the Niagara River Gorge in Devil’s Hole State Park. The 750-mile Empire State Trail will span New York State from Buffalo to Albany and New York City through the Hudson and Champlain Valleys to Canada and when completed in 2020, it will be the longest state multi-use trail in the nation. Learn more. 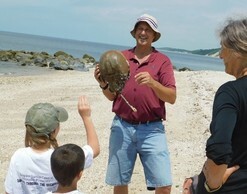 With funding provided by State Park’s Environmental Justice Fund Connect Kids to Parks Project, the Atlantic Marine Conservation Society (AMCS) and the Group for the East End have been conducting family-friendly programs at Orient Beach State Park and Hallock State Park Preserve on the North Fork of Long Island. The programs promote the protection of sea life in Long Island’s waters, including marine turtles, dolphins, seals, and whales, by providing activities that educate about these beautiful creatures and engaging participants in beach clean-ups that remove harmful trash before it can wash back into the sea. 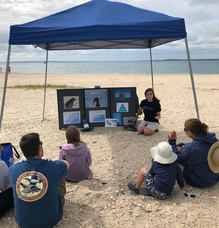 Pictured is Hannah Windslow, AMCS Field Biologist and Education Coordinator at Orient Beach State Park explaining how her organization responds to injured sea life that washes up on Long Island’s beaches. Seals, turtles, and porpoises are often found to have been injured by waste such as plastic balloons, straws, bottles and “ghost” fishing gear. By participating in the beach clean-up, youth become vested in protecting the animals that share our marine environment. 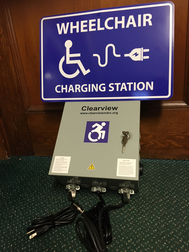 Allegany State Park has two new electric wheelchair/scooter charging stations thanks to the Cattaraugus County Livable Communities Consortium. The stations can be used by individuals living with disabilities who may need to recharge the battery on their wheelchair or scooter. Stations are placed at high use patron areas adjacent to accessible trails in both Allegany’s Red House and Quaker areas. These devices will further promote accessibility at Allegany and add to the overall positive experience that our patrons have during their visit. The consortium was awarded funding to purchase the charging stations from the National Association of Chronic Disease Directors (NACDD) Improving Health in People Living with Disabilities Grant. How long have you been with the agency? 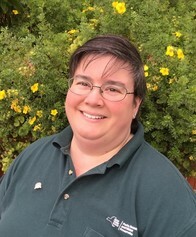 I started with State Parks in 1985 with a small hiatus from 1995 until 2001 to raise my children, so I have over 30 years with the Taconic Region. What does someone in your position do? In my current role, I handle the region's seasonal workforce hiring and work plans and seasonal progress reports. I oversee Worker’s Compensation and ARS reporting, the Regional Audit Team, financial stationery, and the Central Stores team, and help out wherever is needed most. What is the coolest thing you’ve ever seen or done? For several years in the 1990’s I played a supporting role as Yorky the Bear, Park's mascot. In that costume, in the summer, it was sweltering; but it was a very cool part of my 'unofficial' job duties to promote NYS Parks to the younger generation. Is there a destination in the park/region you’d recommend to someone? There are so many spots in my Region I just love; Staatsburgh SHS at Christmas time, Clermont SHS at Halloween, the Walkway over the Hudson during peak fall foliage, the Norrie Point gazebo right on the Hudson River at the height of summer. There is no way to pick just one! Share Your Park Photos for a Chance to Win! 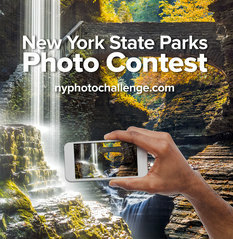 State Parks and the state’s Department of Environmental Conservation (DEC) are holding an online photo contest to highlight the best of New York’s great outdoors including state campgrounds, parks, forests, trails, nature centers, historic sites and other favorite destinations. Enter your best shots now through November 30, 2018 for a chance to win gift cards and park passes as well as a grand prize that includes a Nikon DSLR camera with lenses and accessories. 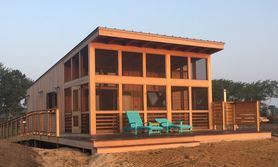 The five entry categories are: Camping Life; Points of Interest; On the Trails and Off the Beaten Path; Connecting with the Outdoors; and Day Trips and Other Adventures. Finalists will be determined by a combination of top votes through social media and a selection committee. Additionally, one lucky photo will win the People's Choice prize for receiving the most votes across all categories. Everyone is encouraged to check out all the categories and vote for their favorite photos. Contest entry and information regarding rules, eligibility and prizes, is available at www.nyphotochallenge.com. Reminder: Keep your 2018 Empire Pass! Beginning in mid-November you will be able to renew your existing Empire Pass online with a discount for the 2019 season!